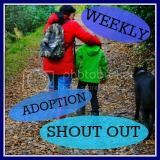 I’ve been talking to some other parents recently – some are experiencing similar issues to us, some aren’t, some are adopters, some aren’t. What comes up quite frequently is the subject of triggers. Things that start a tantrum or meltdown. I’ve had several discussions recently about whether it’s possible to avoid triggers, therefore creating a more stable and less challenging environment for our children. And indeed, whether we should shield them from triggers, or expose our children to a number of different stimuli to help them develop and to socially prepare them. Our main issue at the moment with avoiding triggers (which we do by avoiding going out into stimulating or worrying environments) is that we’re becoming isolated. However, we know that we need to really work hard on reassuring Mini that he’s not moving on, so the long-term benefits surely outweigh the short-term downside. Our main problem with going out more and addressing situations which might cause a meltdown is that Mini will get upset, and why would we expose him to something that we know would do that to him? If he reacts the way he does at home he could hurt himself or someone else, and we will get ‘those looks’ from judgemental passers-by. As an adult I find that hard to deal with, but for Mini, those looks – if he saw them – would increase the shame he feels too. There are also some triggers that are unavoidable…because we don’t know what they are; some days Mini is just in meltdown mode. Those days he is in a volatile mood where the smallest thing could set him off – offering apple juice when he wanted (but didn’t ask for) orange, picking up his shoes (when he was just about to, but hadn’t even started moving), giving him the ‘wrong’ type of paper when he’s colouring or even talking to him. These are the days where we feel like we’re walking on eggshells because we have no idea what will set Mini off. I’m doing my best to attune to Mini, but I’m simply not a mind-reader! Other days Mini is defiant. Every request is responded to with an aggressive ‘NO!’ When he’s in an extra defiant and angry mood, these verbal retorts are often accompanied by a shove or a punch too. The most basic request evokes a negative – can you zip your coat up please? Pass me the salt please? Mini can you put mummy’s phone down please? The worst days are the contrary ones. On these days where Mini is indecisive, things could go either way, or often both ways – a quick meltdown to make frustration known, followed by a complete refusal to do what is asked of him. No amount of reasoning works; no amount of consequences work. These are just days when Mini can’t make up his mind about anything, and just when he finally appears to have made a decision, he changes his mind again, and again. Eruptions can happen over questions or choices we give him (so we try to avoid offering too much choice), but also over free will choices i.e. he’ll choose to get his cars out, and then immediately ask for help to pack them away, yet the minute they’re away, he’ll want them again, so they come out and get packed away 3 or 4 times until the NC or I ask him to decide at which point he wobbles and cries, or if we make a decision on his behalf, he’ll wobble and cry because it was the wrong decision. These days are absolutely exhausting. Then of course there are the times when we can see Mini getting irritated because Dollop keeps standing in front of the TV when he’s watching Octonauts, so we move her before he flips; there are times when we can see him getting bored so we’ll quickly pull out a game; there are times when he’s getting over-excited so we get some puzzles or books out to introduced some calm time. And I’ve already spoken about avoiding situations that we know worry Mini. So you see, triggers are tricky little blighters, because sometimes we simply don’t know when they’re coming. It’s not just as simple as removing them. Good blog, as ever, and oh so true! Avoiding triggers is almost impossible. Even getting in the car has been a trigger for my daughter. Routine helps, but also will inspire defiant behavior. Such as, I know what's coming next and I'm not doing it! Choices are good but one too many and the kid feels like the adult is not in charge which set off a tantrum. No choices and the kid has no feeling of control and has a tantrum. It often feels like it never ends and there is no way to do it right. IMO that is!